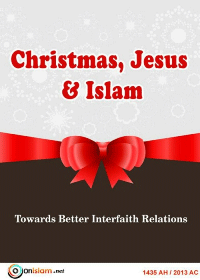 * The Islamic ruling on celebrating Christmas and sharing non-Muslims’ festive occasions. * The Islamic view of Jesus and of his role as prophet and messenger. * Islamic teachings on honoring and believing in all of Allah’s prophets and messengers. * Relationships between Muslims and non-Muslims.